The pair performed “In My Blood” during the show, a performance they had been teasing in the days leading up to music’s biggest night. Fans were expecting the pair debut a new single together. Instead, they got a beautiful new take on Mendes’ hit song, one which resonated deeply with fans. 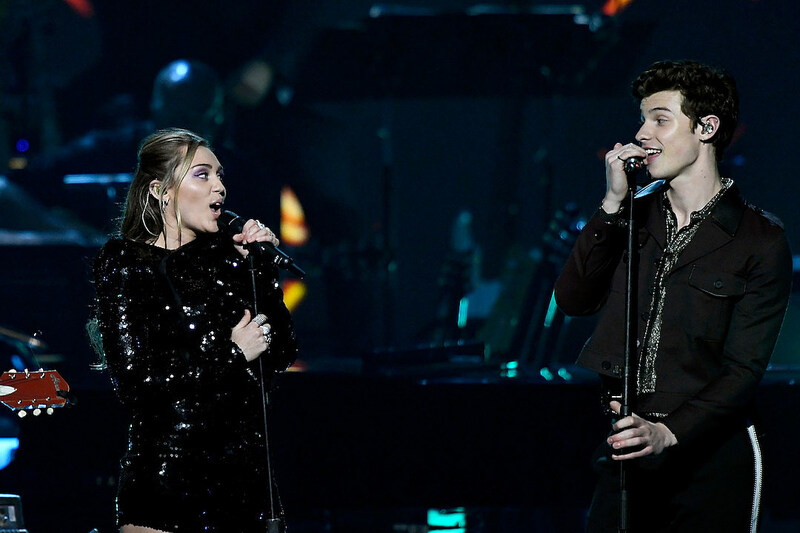 She and Mendes teased the collaboration for some time leading up to the Grammy Awards. The pair even posed together wearing matching leather jackets with Parton’s face on them, an homage to a performance they did of “Islands in the Stream” at a MusiCares event the night prior, leading many to think they might team up for a Parton tribute performance. “this could be the year for the real thing,” Cyrus captioned the image, tagging the Recording Academy, Mendes and Parton. While the “Malibu” singer wasn’t up for any awards this year, Mendes was nominated for several, including song of the year for “In My Blood,” and Best Pop Vocal Album for his self titled project, Shawn Mendes.